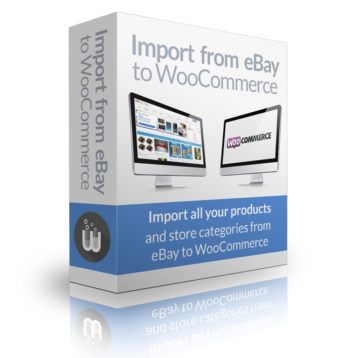 After you purchased Import from eBay to WooCommerce, you should have received an order confirmation email. This email contains both your license key and a link to download the plugin. If you haven’t received this email – not even on your spam folder – you can log in to your account, where you will see license details and download links for all plugins you have purchased. In order to update the plugin to the latest version you need to activate your license first. To do so visit WP-Lister » Import » Updates. Enter your license email (the one you used when you purchased the plugin) and your license key. Click “Update license”. Once you have successfully activated your license you can now now update the plugin to the latest version. If you still have access to the site where you activated your license, visit WP-Lister » Import » Updates. Tick the checkbox that reads “Yes, I want to deactivate my license for…” and click the “Update license” button. Or you can simply log in to your account at https://www.wplab.com/my-account/ where you can see all your licenses, which domains a license is currently activated on, and you’ll find a button to deactivate your license as well. If you want to test new features before they are released, you can change the update channel to “beta” as shown below. Please keep in mind that beta versions might have bugs or experimental features. Unless WP Lab support told you to update to the latest beta version, it is recommended to keep the update channel set to “stable”. 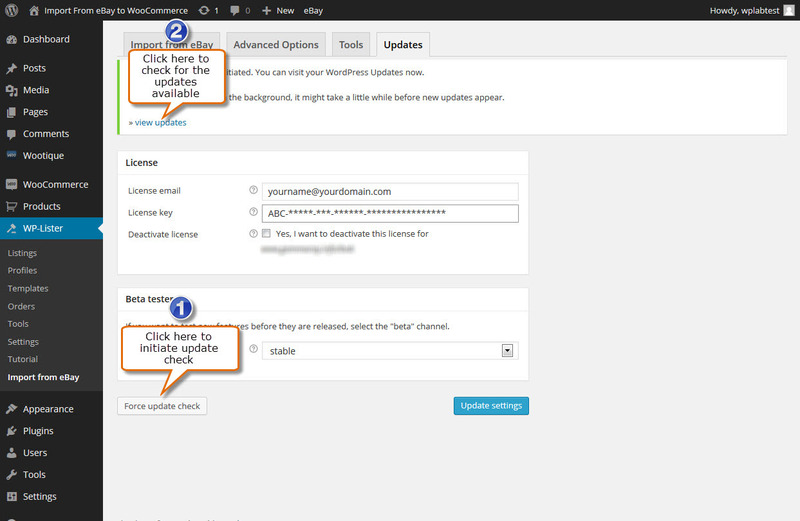 If you’re aware of a new version of Import from eBay to WooCommerce but you don’t see any notifications in your dashboard, you can initiate a manual update check by simply clicking the “Force update check” button. It might take a little while, but eventually you should see the new version and be able to install it.